Institute of Transportation Engineers | Australia and New Zealand Incorporated. I was overwhelmed and nervous with the thought of attending a conference with 10,000 other professionals, however, in the space of 6 days, I had presented to a room of engineers, spoken with countless international experts, rode a fully autonomous bus, met the ITE board and even snuck a photo with the prestigious Traffic Bowl trophy! Although the trip was brief, it contributed significantly to my personal and professional growth. The countless learnings I take from attending the TRB annual meeting will assist me greatly in my future development. 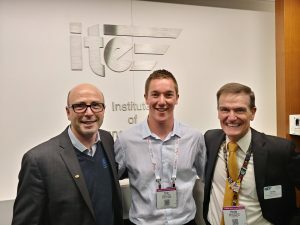 A generous sponsorship from Austraffic has enabled ITE-ANZ to offer financial support for young members to attend worldwide conferences, meetings or other professional events which would allow them to interact and learn from other professionals. 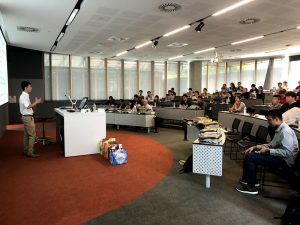 The aim is to contribute to their personal and professional development.